To assess the Centre’s activities since its inauguration in February 2017 and to review the Fiscal Year 2018 Work Plan. The Committee had met earlier on February 13, 2017 after the inauguration of the Center. Officials from all Six (6) Member countries attended, together with the Development Partner representatives (the European Union, the United Kingdom, Australia, and USAID), and IMF staff. 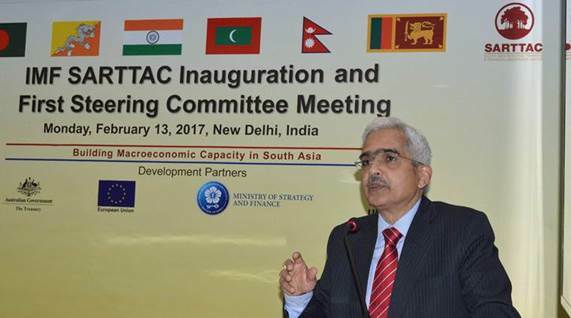 The Committee took note of the large demand from member countries to work with SARTTAC on their capacity development needs; this includes growing interest from India’s subnational Governments. Recognizing resource constraints on the centre’s operations, it supported calls to prioritizing rigorously and continuing to demonstrate results. The Committee members also recognized the high resource costs of customization and agreed that scope to customize all activities was constrained. At the same time, the Committee expected SARTTAC’s Budget’s to be managed flexibly to ensure the Center was able to respond in an agile way to meet members’ needs. Members also took note of the actions required to support and strengthen the selection of training participants to ensure maximum impact. The Committee endorsed the FY 2018 work plan. It also approved a new work area in Government Finance and Public Debt Statistics, where members have expressed strong demand, and work is underway to plan future technical assistance and training. 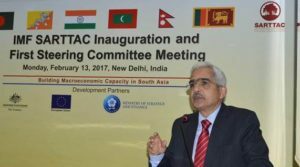 The Committee welcomed progress in securing over 90 percent of the financing for SARTTAC’s first five-year (2017-2022) Phase. SARTTAC was encouraged to continue its dissemination of results, its coordination with external partners in the region, and its outreach activities. The next Steering Committee meeting will take place in Sri Lanka in May 2018. 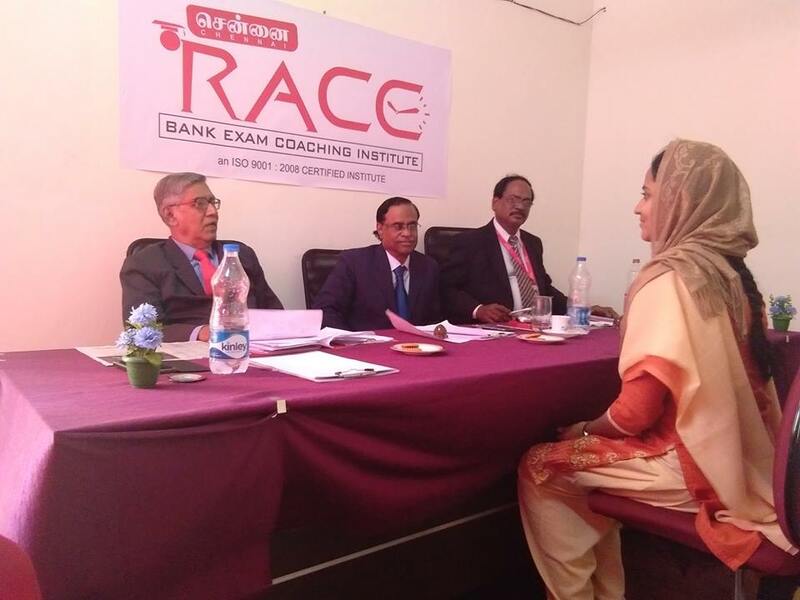 The South Asia Regional Training and Technical Assistance Center (SARTTAC), which was inaugurated in February 2017, is the first IMF Regional Capacity Development Center to fully integrate training and technical assistance activities. Located in New Delhi, India, SARTTAC works with Bangladesh, Bhutan, India, Maldives, Nepal, and Sri Lanka. Member countries finance two-thirds of the Centre’s Budget, with additional funding from the European Union, Korea, the United Kingdom, and Australia. The IMF’s capacity development efforts are part of its core mandate and help Governments modernize their economic policies and institutions. A global network of Regional Capacity Development Centres anchor IMF support for economic institution building and are complemented by global thematic funds for capacity development. They are financed jointly by the IMF, external development partners, and member countries.